Classic Film and TV Café: Five Hunks Who Coulda Been Stars! Earlier this week, we profiled five lovely actresses who certainly had the looks to become major stars (click here to read that post). While some of them had solid careers, stardom eluded them. Sometimes, it's simply a matter of timing in the film business. Today, we turn our sights to five handsome actors who seemed destined for bigger things, but never quite made it. Grant Williams. Best known for his first-rate performance in the sci fi classic The Incredible Shrinking Man (1957), Williams seemed to be on the cusp of stardom in the 1950s. He signed with Warner Bros. in 1960 and became relegated to supporting roles in films like Susan Slade (he played Susan's mountain-climbing lover Conn White). Even worse, he was cast in the 1959-63 TV series Hawaiian Eye midway through its run. The overexposure did not help his screen career; his last major film role was in PT 109, in which he was listed fifth in the cast. Through the rest of the 1960s, he guest starred in TV series such as Perry Mason and Bonanza. His last screen appearance was in the low-budget sci fi film Brain of Blood. 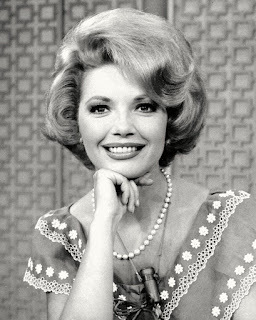 Williams, who had studied acting with Lee Strasberg, subsequently opened a drama school. He died at age 53 of peritonitis, an inflammation of the abdomen wall. Tom Conway. With a debonair disposition and distinctive voice, Tom Conway seemed poised to follow his brother's path from "B" films to major motion pictures. But whereas his sibling, George Sanders, crafted a memorable career as a supporting player and occasional lead, Conway languished in low-budget mysteries and horror films. Some of his 1940s "B" films were first-rate, specifically The Falcon and the Co-eds and his three Val Lewton movies. Unfortunately, good roles became scarce in the 1950s and his career took a downturn. Alcholism took its toll in the 1960s and a newspaper article revealed that Conway was practically broke and living in a cheap flophouse. He died in 1967, at age 62, from cirrhosis of the liver. Gardner McKay. After a short stint in a TV Western called Boots and Saddles, Gardner McKay was cast in Adventures in Paradise, a 1959-62 television series based on the works of James A Michener. He became an instant TV heartthrob and was sought after for film roles when the series ended. He turned down a chance to star opposite Marilyn Monroe in Something's Got to Give. Indeed, post-Paradise, McKay appeared in only two movies before retiring from acting. One of those films was The Pleasure Seekers, a pleasant remake of Three Coins in the Fountain, which highlighted his easygoing charm. McKay became a sculptor, novelist, and playwright. His art work has been displayed at the Museum of Modern Art and he won the L.A. Drama Critics' Circle Award for his play Sea Marks. He died of prostate cancer at age 69. John Dall. He earned an Oscar nomination opposite Bette Davis for The Corn Is Green, had a major role in Hitchcock's Rope, and starred in a famous cult film (Gun Crazy). And yet, John Dall never achieved stardom and, in fact, appeared in only eight films during a 15-year acting career. That would lead one to assume that he focused on a stage career, but he only appeared in four Broadway plays. His biggest stage success was in Dear Ruth. He played the role of Lieutenant William Seawright in the original 1944 production for 680 performances--only to see the 1947 film role go to William Holden. George Maharis. For those that question the handsome Maharis' acting ability, I recommend that you watch the first two seasons of Route 66. Maharis had the best role of his career as the street-smart, passionate Buz Murdock and shined in episodes like "Birdcage on My Foot" (which co-starred Robert Duvall as a drug addict trying to go "cold turkey"). Maharis abruptly left Route 66 during its third season, with the reasons varying as to why. 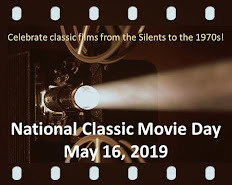 Except for the tense thriller The Satan Bug (1965), his film choices were poor and he returned to television for the short-lived 1970 TV series The Most Deadly Game. He was arrested for "sexual perversion" in 1974, though he continued to act on television after that. His last film appearance was in 1993. He lives in Beverly Hills and New York City and creates impressionist paintings. I really like these posts, Rick. I remember Gardner McKay from my enormous crush on him. I always loved Tom Conway and perhaps it was his similarity to his brother that hurt him. Their voices are so similar, and of course there is always the luck factor in Hollywood. Grant Williams is very handsome, but just too short (groan.....) John Dall was an interesting actor, very odd actually and probably somewhat difficult to cast. What a shame about George Maharis and his arrest. It's very sad that 3 out of the 5 died before the allotted 3 score and 10. Great post, thanks. Tom Conway has always been a favorite, very effective in Cat People and 7th Victim. I liked George Maharis, who, as you say, was very good in Route 66. I also liked him in The Satin Bug, a film I thought was a liitle underrated. An interesting article Rick but the one man who caught my attention was Gardner McKay. I really liked him in Adventures in Paradise. When the show ended, I followed his careers. I read one of his books Toyer which is well written. I have seen his art work on display at the Museum of Modern Art in NY. He was a man of many talents. 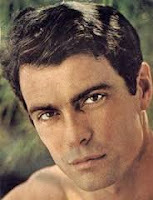 Aki, I think Gardner McKay could have had a solid career on the big screen, but obviously his interests lay elsewhere. It's cool that you've read one of his books and seen some of his art. I think your description of him as a "man of many talents" is very apt. George Maharis seemed headed for stardom with Route 66 but talk about a "one hit wonder." The Satan Bug was awful and I can't even remember seeing him in anything else. With homes in Beverly Hills and NYC, it sounds like he's been successful as an artist. Nice to know. Loved him (seriously) as Buz. Also loved Adventures in Paradise and Gardner McKay. I still remember the show's theme song, which always inspires me to want to" get away from it all." What a fascinating list of handsome actors. So many things in life seem to be based upon being in the right place, at the right time. The actor I know least about is Gardner McKay but he sounds very talented in many artistic mediums. All the other actors I have enjoyed seeing in various roles. 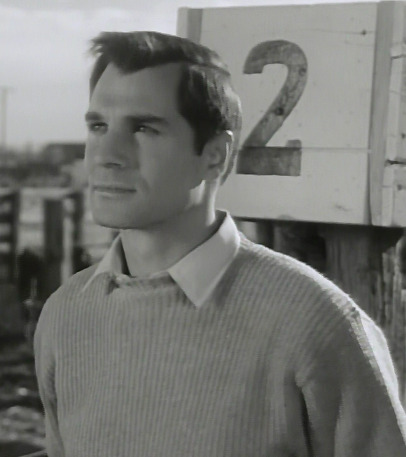 I especially liked George Maharis both in Route 66 and "The Satan Bug." Maharis did a private eye movie for t.v. called The Monk--I think, in the 70's. That's all I remember about it. I liked him. thank you for penning high-grade content like this one. keep it going and i'm sure your avid readers will stay tuned. Ahh, Garner McKay.... a major crush in my sub teens. John Dall was very interesting on screen but for me he always seemed a bit too creepy to make it really big. John Dall was the one my wife wanted to bump from the list!